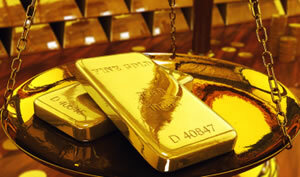 Gold and silver prices fell sharply this week. Sales weakened for U.S. Mint bullion coins. Precious metals plunged from between 1.4% to 1.9% on Friday and all but palladium dived deeper for the week. Palladium squeaked out a 0.2% weekly increase while losses for the other metals stacked to 3.4% for gold, 5.1% for silver and 2.2% for platinum. On Friday, gold futures for April delivery declined $26.00, or 1.6%, to close at $1,609.50 an ounce on the Comex in New York. Selling pressure intensified, opined analysts, when gold went below support levels. "Looks like technical selling pressure, along with a ‘herd’ mentality as prominent funds such as [Soros Fund Management] cut back on gold positions," MarketWatch quoted Jeffrey Wright, managing director at Global Hunter Securities. Prices may either go lower and "test the $1,550 level in the next couple of weeks or snap back if perceived value buying returns." Gold’s settlement price was the lowest since August 15, and yet many analysts expect further declines next week. "In the Kitco News Gold Survey, out of 33 participants, 25 responded this week. Of those 25 participants, nine see prices up, while 12 see prices down, and four see prices moving sideways or are neutral," reports Kitco News. "Those who see weaker prices said the technical charts have become bearish in the short-term for gold… Several participants who see higher prices said now that price supports have been taken out, gold could be due for a bounce" and that Chinese traders will be back from their Lunar New Year holiday to buy on the dip. Bloomberg’s weekly gold survey was the most bearish since December 30, 2011, it states, with twenty analysts and traders expecting gold prices to fall next week. Eleven were bullish and three were neutral. Gold’s heavy losses pushed prices 4.0% lower for the year. Silver for March delivery lost 50.4 cents, or 1.7%, to $29.849 an ounce. Prices fell $1.59 from a week ago. April platinum settled down $33.20, or 1.9%, to $1,677.70 an ounce. Its weekly loss accumulated to $37.00. Palladium for March delivery shed $10.90, or 1.4%, to $753.15 an ounce. In dollars, palladium advanced $1.65 from a week ago. For the year-to-date, silver is off 1.3% but platinum and palladium have logged respective increases of 8.8% and 7.1%. For the week in London and like futures in New York, palladium was the only precious metal to end higher. It gained 1.1%. Losses for the other metals were 3.4% for gold, 1.1% for silver and 2.2% for platinum. Sales of gold bullion coins reached 10,500 ounces. Splits were 8,500 ounces in 22-karat American Gold Eagles and 2,000 ounces in 24-karat American Buffalo gold coins. Last week sales for both coins totaled 35,500 ounces. Sales of silver bullion coins reached 682,500 ounces with splits of 664,000 ounces in American Silver Eagles and 18,500 ounces in ATB five ounce silver coins. These silver coins last week combined for total sales of 977,200 ounces. The following two tables offer all U.S. Mint bullion sales for the day, the week and year-to-date. The Chaco Culture silver coin total declined 400 on Monday. The Chickasaw silver coin total was adjusted lower 2,260 a week ago Tuesday. The week earlier its sales had trimmed by 40. Such negative adjustments are very atypical in U.S. Mint reported bullion coin sales. In other bullion coin news of the week, the Royal Canadian Mint has released its Wood Bison silver bullion coin. It is the last of six coins in its Canadian Wildlife bullion coin series. What are the mintage numbers for the 2013 Silver Eagle Proofs?